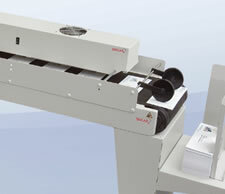 The Secap TC 36 address printer conveyor is a simple to use add-on accessory designed to complement Secap desktop printers and tabbing equipment and improve the efficiency of a mailing operation. 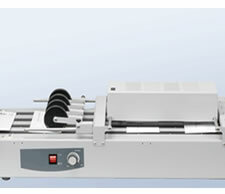 The Secap 36 address printer dryer can be used with all desktop envelope printers and in conjunction with the Secap TC 36 of Secap TC 48 conveyor. 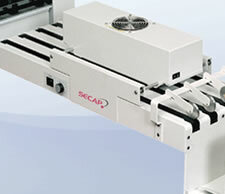 The Secap SC 48 address printer conveyor features bi-directional functionality and two high capacity vacuum fans that stabilize material on the conveyor. 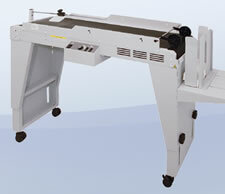 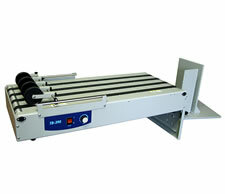 The Secap TCD 72 address printer conveyor is a powerful conveyor/drying solution ideal for desktop envelope printers.